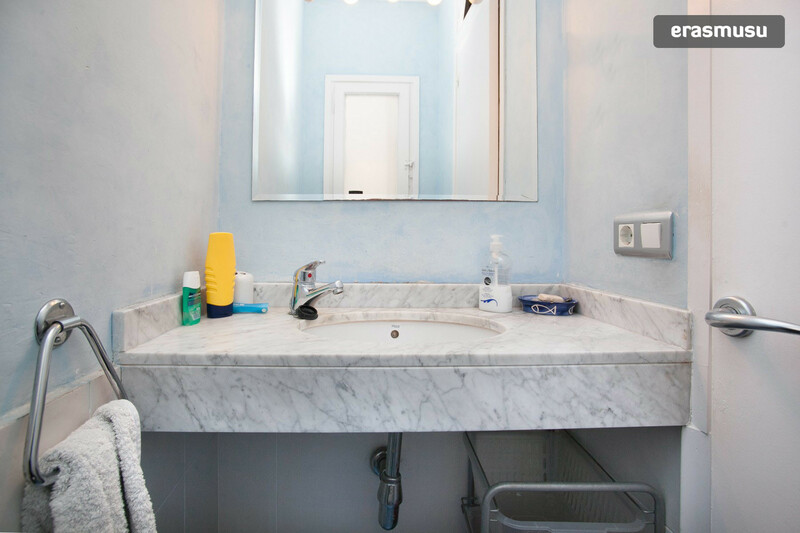 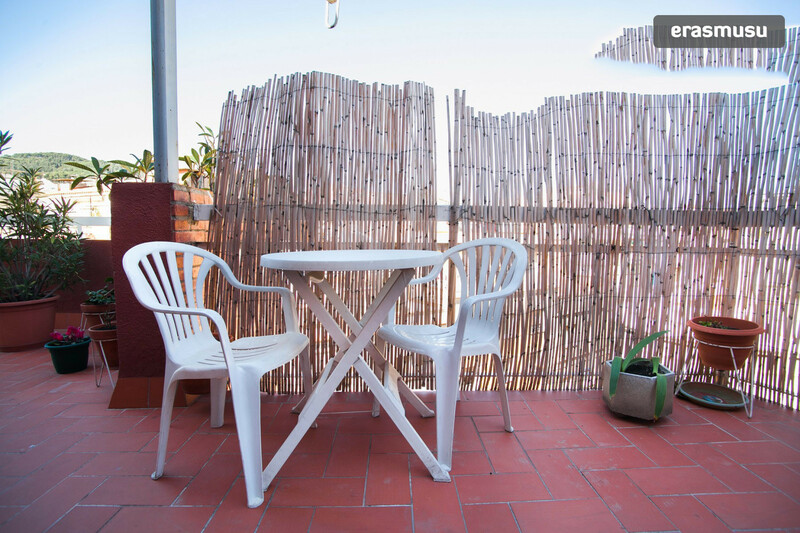 It is part of an 4 rooms apartment, which is approximately 90 square meters wide and has a 40 sqm terrace. 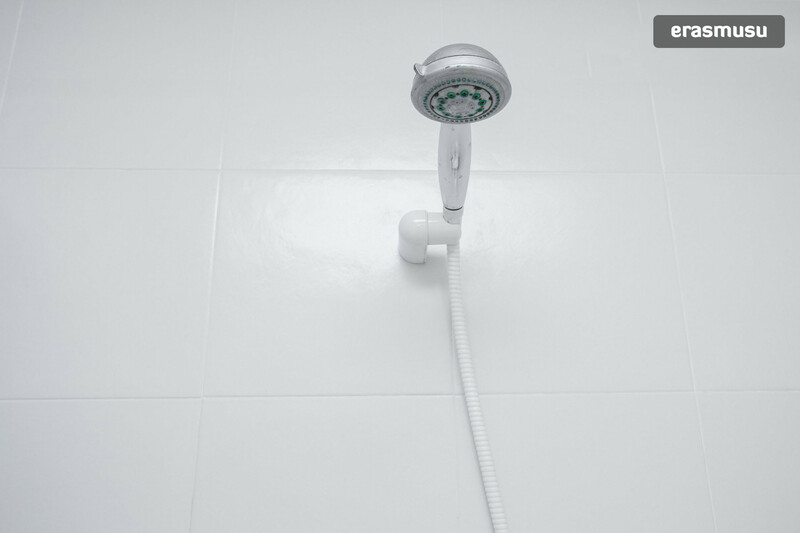 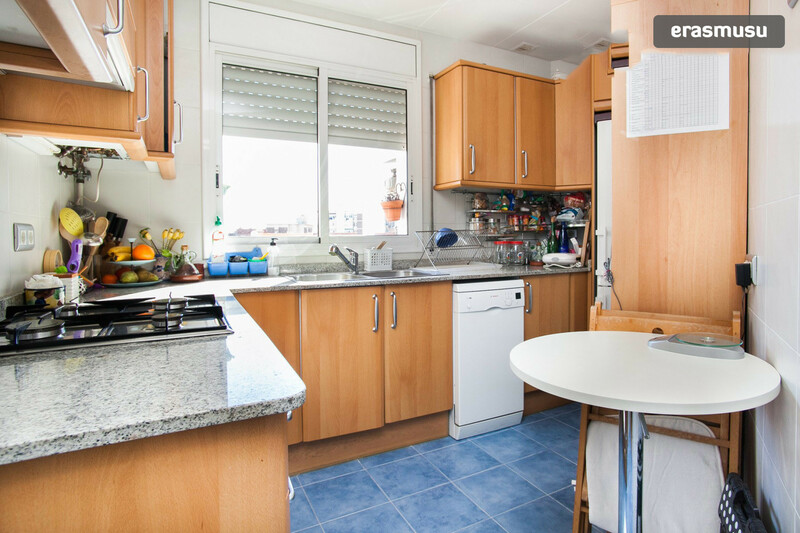 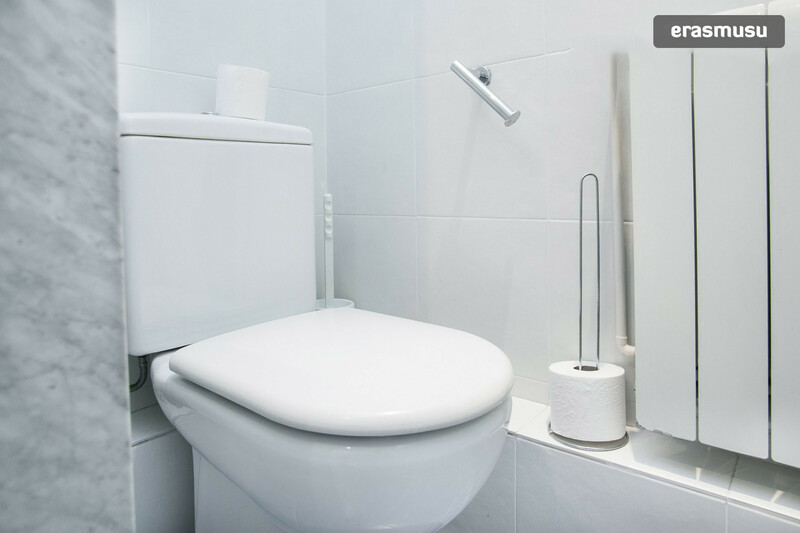 It has two bathrooms, and a large and fully equipped kitchen with a lot of utensils. 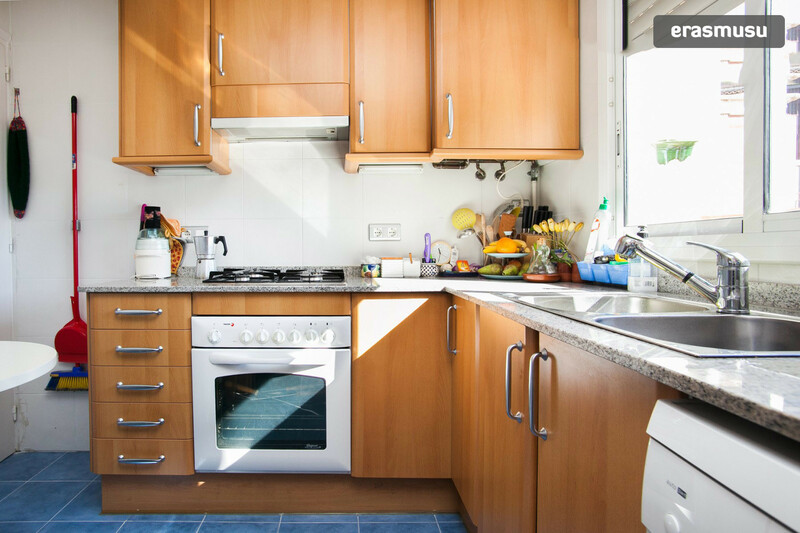 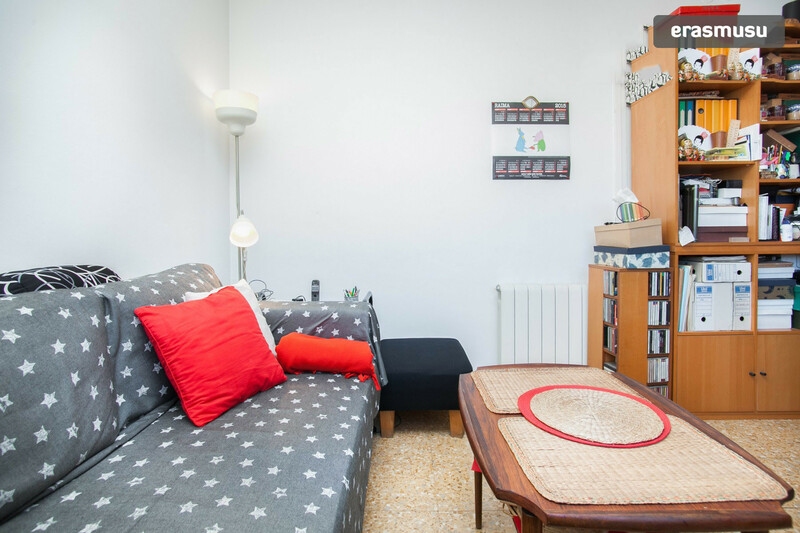 Eulàlia, the owner, 50, lives in the flat, and rent 3 rooms. 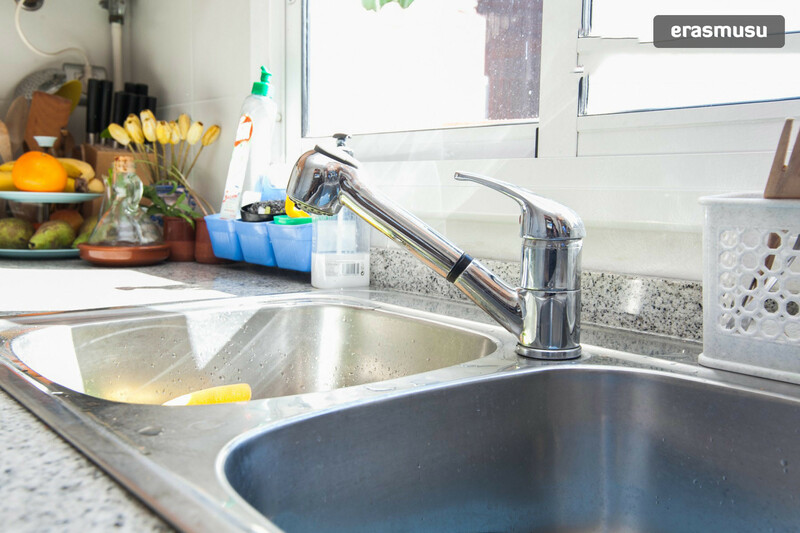 She takes care of general supplies, wifi, cleaning, linens, etc. 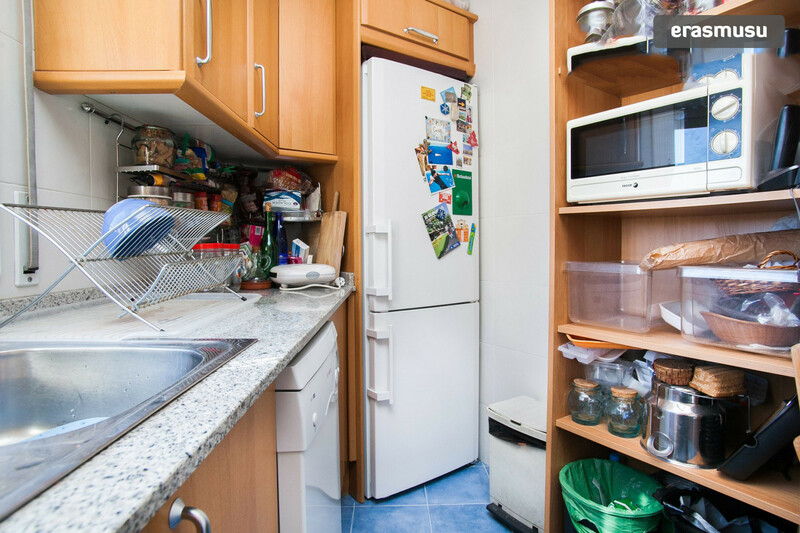 Your future roommates are looking for someone clean, tidy and above all you need to be an easy going person. 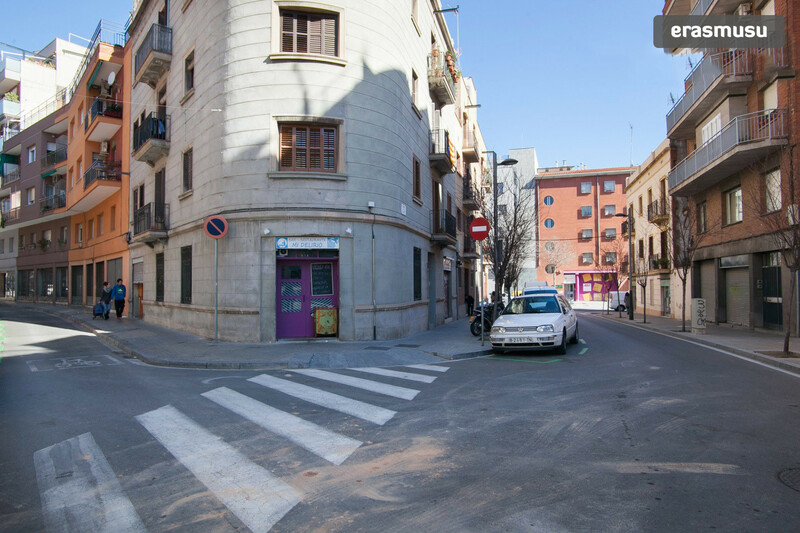 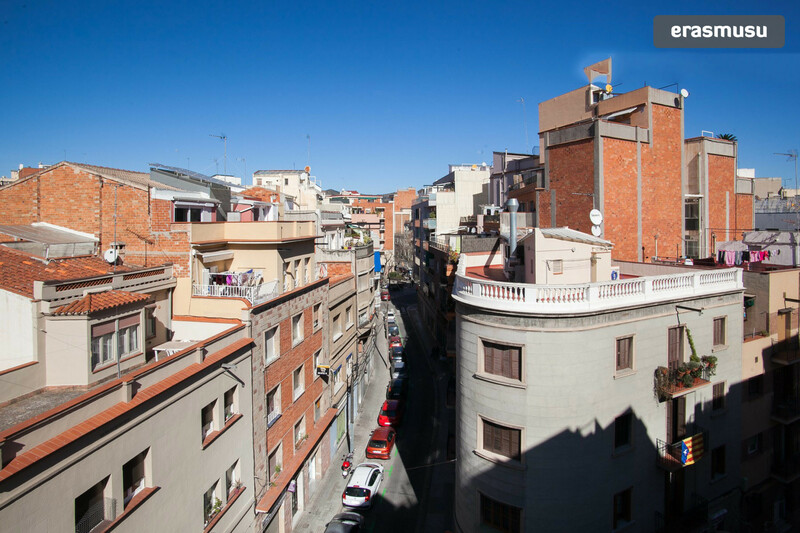 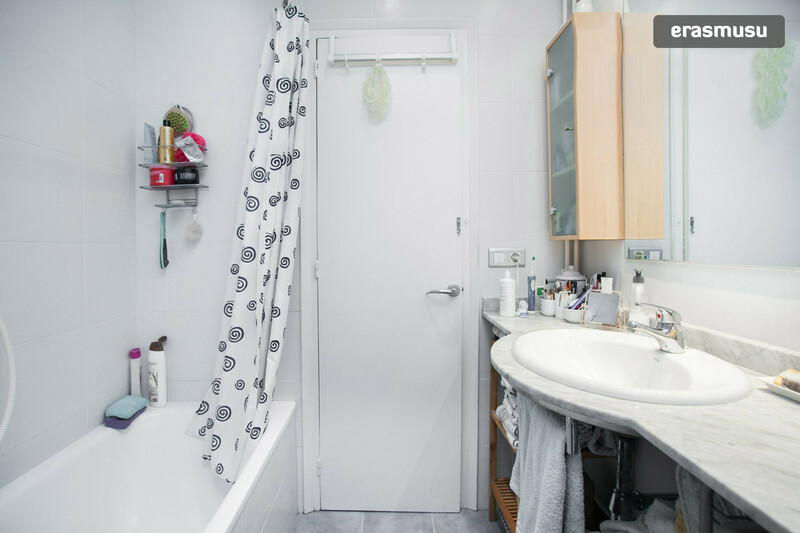 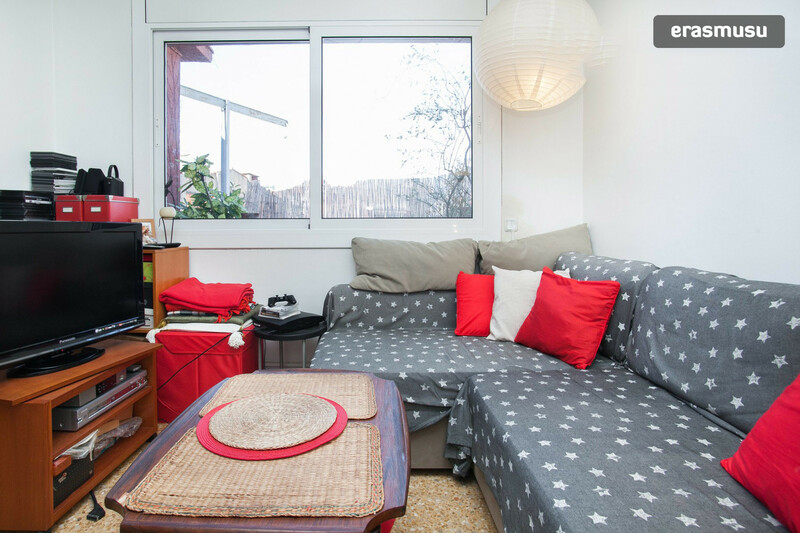 The apartment is very well connected to downtown: it is close to the Maragall station on line 4 and line 5, several bus stops are also within walking distance to be reached. 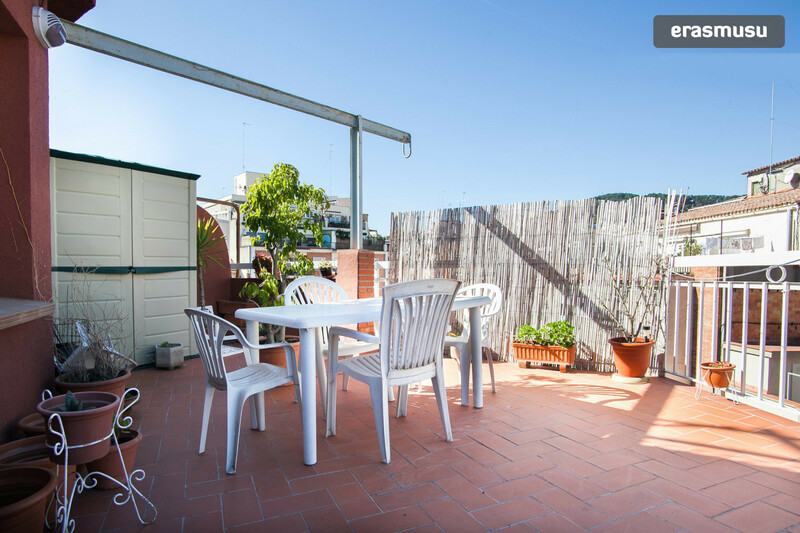 There are a lot a bakeries and cafes in the quiet area nearby the apartment. 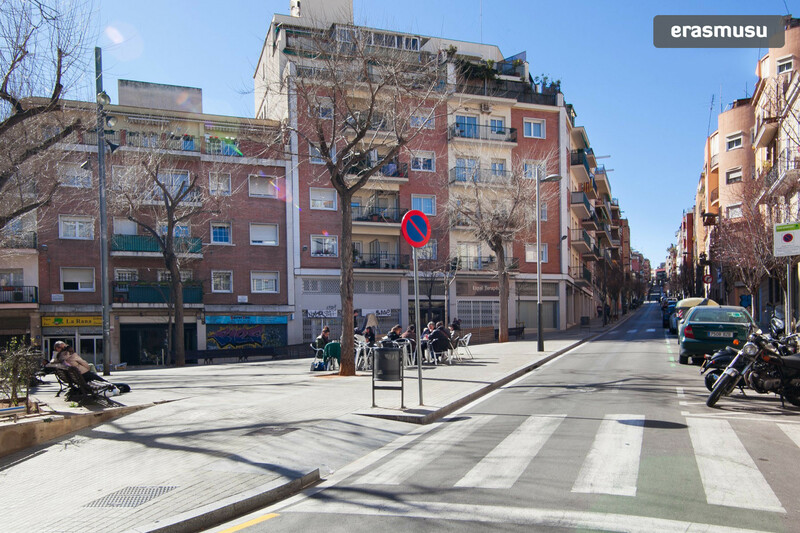 Furthermore, within 10 minutes you will be at Parc del Guinardó, which is the perfect spot to go for a run or simply to wander around after a long day of study/work. 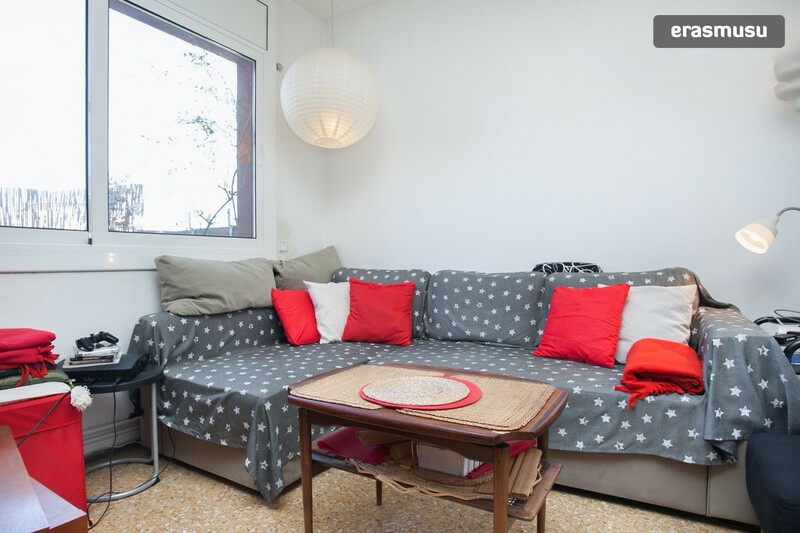 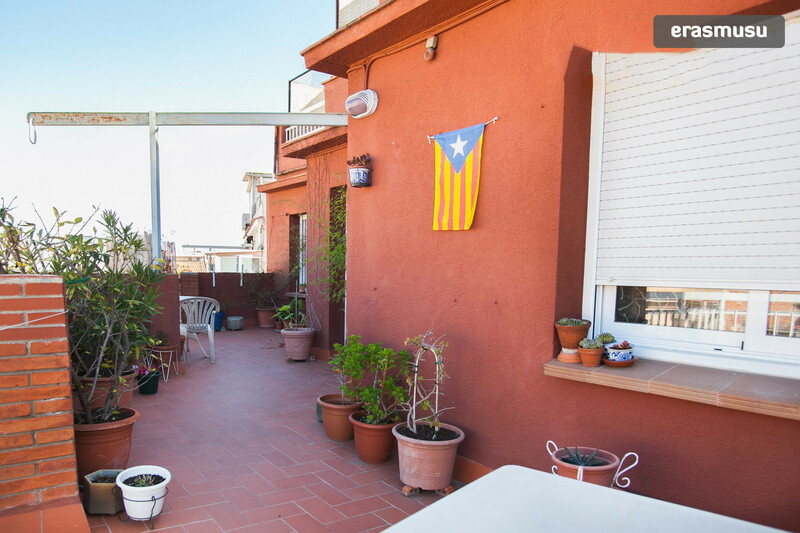 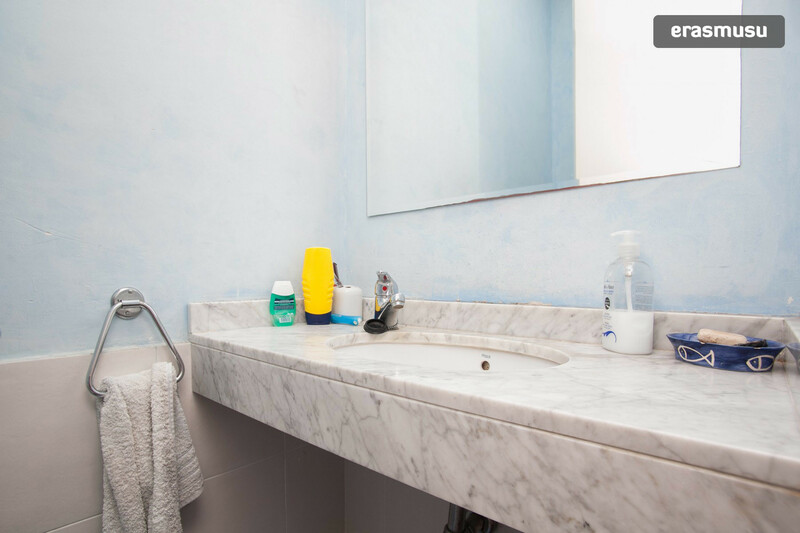 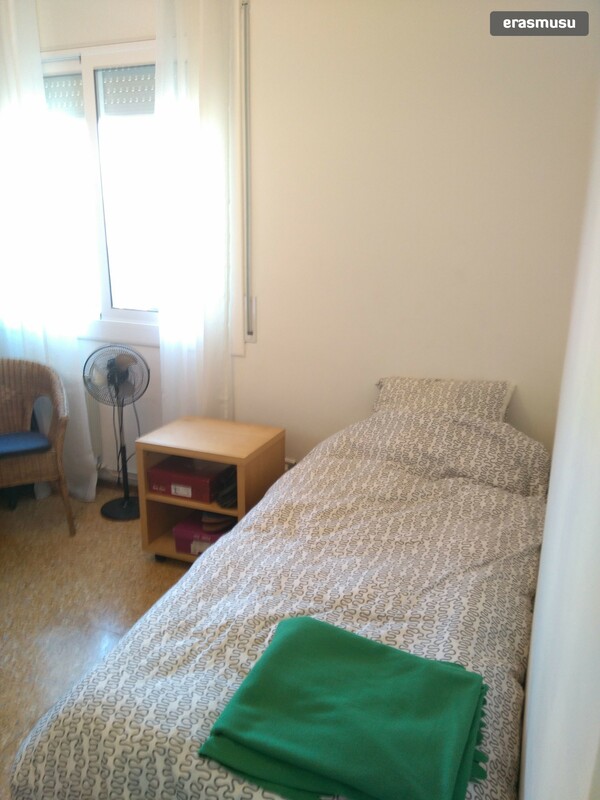 This nice single room is available for rent in a shared apartment close to Parc del Guinardó. 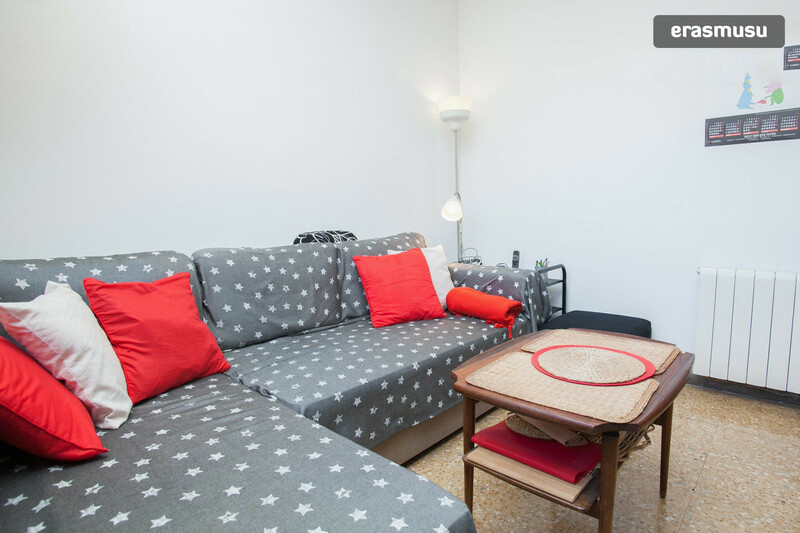 The room comes fully furnished, it has a single bed, a wardrobe and a desk.